I don’t like action movies or superheroes or any of that stuff. I’ve got enough fantasy in my real life, so when I pay money to be entertained, I like reality. One of my big fantasies when I was starting out was that I would become friends with my musical heroes through interviewing them. It didn’t work out that way. Elvis Costello basically hung up on me. Bruce Springsteen canceled further aftershow visits from journos on his “Tom Joad” tour after I super-ghermed him backstage at the Austin Music Hall. I’m a total dork around nobodies, so you can imagine when I’m trying hard to impress with my knowledge and sense-of-humor. I may have inspired the “dropped call” button that celebrities seem to have on their phones. 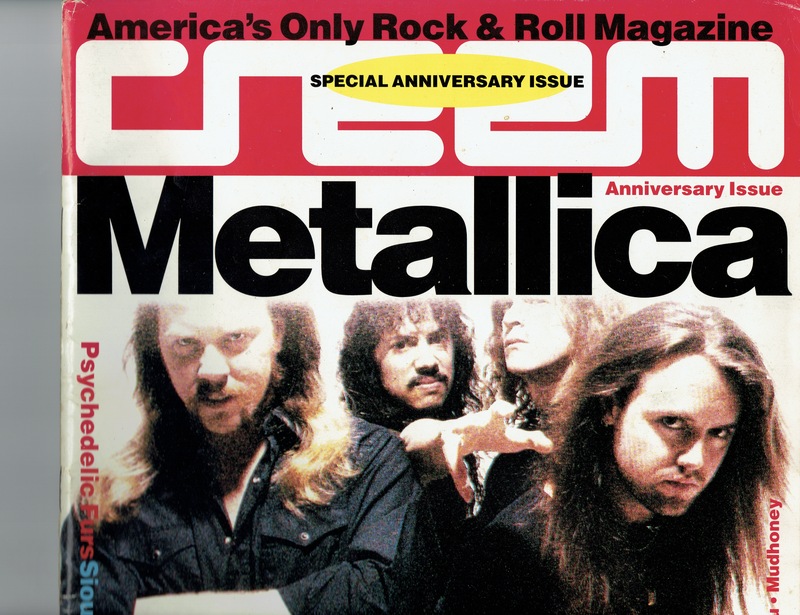 But the one time I actually felt like a brother for awhile was when I went to Hollywood to interview Metallica for a Creem magazine cover story. Tell you the truth, I didn’t know much about Metallica. Never really a metalhead, though the tapes I crammed on during the plane ride were pretty damn good. OK, so we’re going with the ironic ghetto boy band attire. To hang out with Metallica. But maybe being interviewed by someone not wearing a black death metal t-shirt was a nice change of pace. I had a nice conversation with the group. They put me in a room with big speakers and played “Enter Sandman” and the other new recordings and I didn’t really know what to think. But those guys were so starved for approval that I just gave it to them. And it made for an enjoyable three hours. It was one of the best features I wrote during that time. And “Sandman” made them huge. Who knew? The shirt I wore to my Metallica interview. So about three or four years later, I’m in Las Vegas at the opening show of the 1994 Lollapalooza tour (Smashing Pumpkins, Beastie Boys, Nick Cave, Tribe Called Quest, etc.) Hanging out sorta backstage with all the other critics. Every once in awhile they’d bring out one of the acts for a presser and, for some reason, there was Kirk Hammett of Metallica, talking to Perry Farrell. 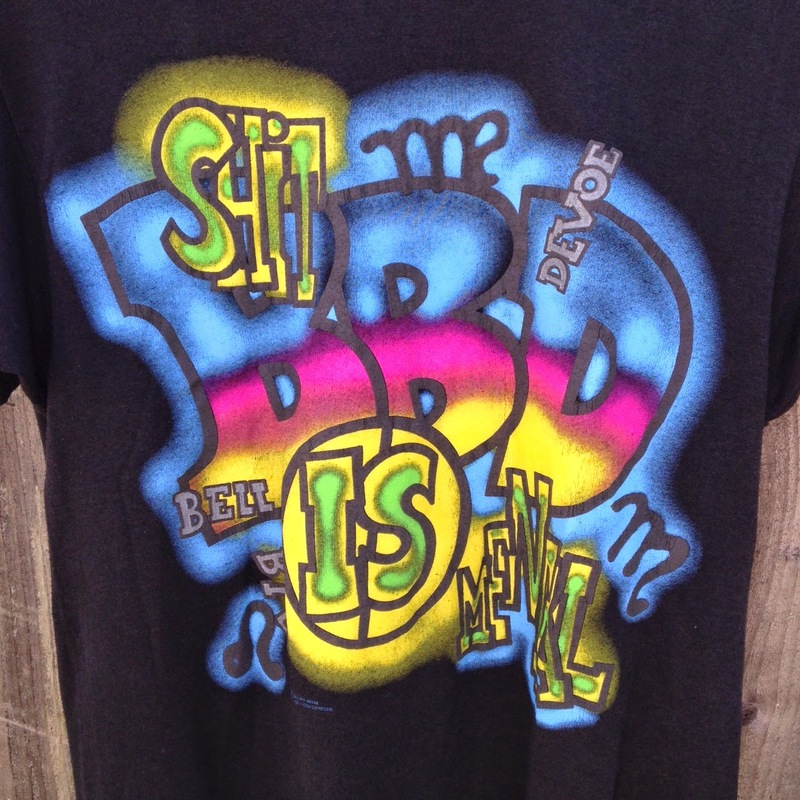 He looked over at where I was standing and said “Hey, Bell Biv Devoe!” Oh, yeah, man, that funky t-shirt, huh? I ran into him at a Chinese restaurant in Chicago and we talked then, too. That’s how you make friends with your heroes. You do your job with the commitment that they give to theirs. And just be original, godammit. Nothing you say is gonna impress them. Knowing that takes the pressure off. This entry was posted on September 8, 2015 at 7:48 pm	and is filed under Uncategorized. You can follow any responses to this entry through the RSS 2.0 feed. You can leave a response, or trackback from your own site.